This episode is a massive news update of all the things that have been happening in the Joomla! Community and Industry as well as news about Joomla Beat! thanks for the tips there Fabio! Really helps for people like me that don't know that many different languages. Feel free to share the website when you're ready on the comments here or on the main webiste. Hi Pete, thanks a lot for mentioning me in this episode. Mocci is a surname of Italian origin, is pronounced "Moti", the two "c" letters sound like the letter "t" well markedly as in the words "Petrucci" and "cappuccino", and the letter "o" is openned sound as in the word “more”. Fabio is a common name in Brazil, it's also Italian originated. I hope turn the project minimally usable for the people in few months and immediately thereafter I'll tell you. 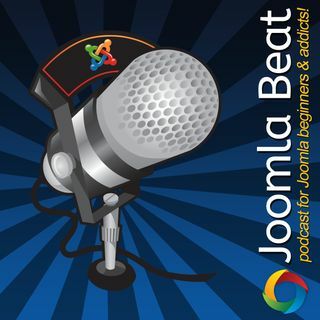 Thanks a lot for you bring us the best Podcast about Joomla in the world!! !